Harrison Stafford, Groundation lyricist and front-man, is taking Reggae music back to it’s roots. With 10 studio albums and countless world tours Harrison is a veteran of the concert scene sharing the stage with artists like The Roots, Ziggy Marley and Burning Spear. 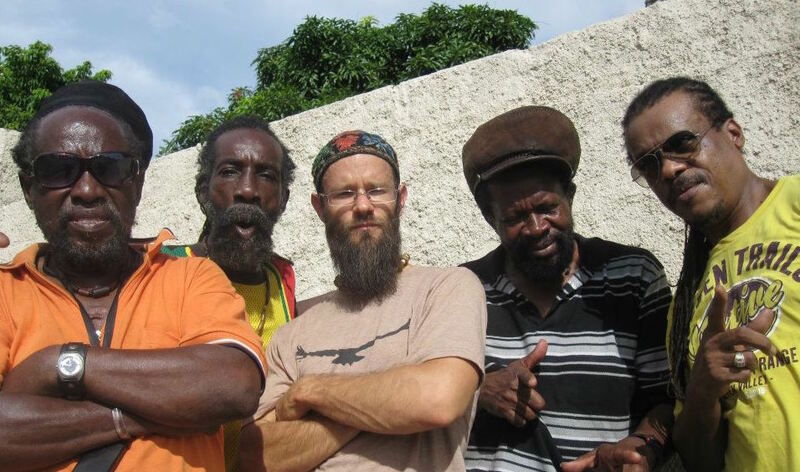 The «Professor» as many elder Jamaicans know him from his ‘History of Reggae Music’ course he developed and taught at Sonoma State University (1999-2001) has also finished his long awaited documentary on the history of the Rastafari Movement «Holding On To Jah» (www.holdingontojah.com). Harrison’s first solo release under the name «Professor» began in 2011 with the release of the album «Madness» after his pilgrimage to Israel and Palestine. The album stands as a testament to the power of Reggae music in the struggle for equal rights and justice. Now he is touring to bring the history and the culture to the masses by way of his solo work under ‘Harrison Stafford & The Professor Crew,’ with a new studio album ONE DANCE planned for a May 13th 2016 release with Soulbeats Records, Professor comes with new music to uplift the people. He’s still working and playing with his same dream team of fetish musicians : «Horsemouth» Wallace, Errol «Flabba Holt» Carter, Lloyd «Obeah» Denton and Dalton Browne. To discover in live absolutely with this incredible musicians and all the Harrison Professor presence and charisma!